Let's get your instant mortgage approval done today! Just click on the APPLY NOW button below. In 10 minutes you will have your mortgage approved with Mortgage in a SNAP. Thank you for your interest in our Mortgage in a SNAP instant approval process. Over the next 10 minutes we will complete a full review of your finances and get your mortgage pre-approved so you can get your offer accepted today! Click below to apply. We are ready to help answer any questions you may have about buying and financing a home. We have a team of dedicated mortgage loan officers ready to assist. Getting pre-approved for a mortgage doesn't need to be rocket science. Getting pre-approved should be a SNAP! 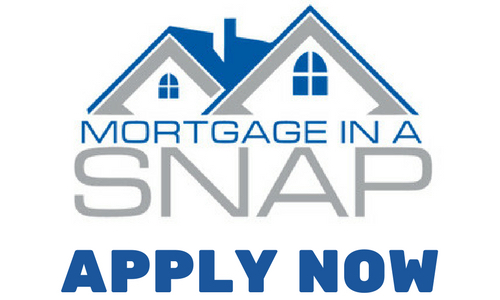 Try our Mortgage in a SNAP today! We offer all the mortgage programs allowing us to tailor the mortgage to your financial situation. The Mortgage 1 Team is one of the states leading mortgage bankers. Through our group, Mortgage 1, we are one of the largest independent mortgage bankers in the state.